Flora, the Unilever UK spreads brand, is set to launch a £12.5 million brand repositioning campaign created by MullenLowe London. "Powered by plants" will focus on the plant-based ingredients, such as rapeseed oil, linseed oil and sunflower oil, used in the product. The campaign will highlight that the oils are high in Vitamin E, high in Omega 3 and 6 and lower in saturated fat than butter. It will feature Flora Original, Flora Buttery, Flora Light, Flora Gold and Flora Cuisine. The ad will launch on 15 February. Flora is also launching a dairy-free product called Flora Freedom. 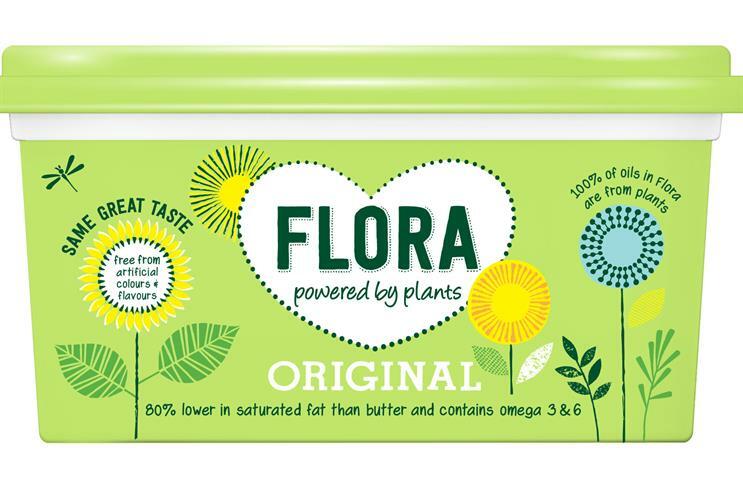 James Brennan, the marketing manager for Flora at Unilever UK, said: "Celebrating the plant-based ingredients in Flora and the resulting health benefits will reposition the brand back to its heartland of being a healthy alternative to butter. "Over the course of this campaign we look to support mums as they build their healthy, happy families." Flora awarded DLKW Lowe (as MullenLowe London was called before 1 January) its UK ad account in October 2015. The incumbent, Adam & Eve/DDB, will continue to work on its Pro.Activ brand internationally.